Since we are talking about waste-free lunches this week, I thought it would also be a good time to take a look at reusable water bottles. We all spend way too much money for bottled water when we can get water at home for free and with no waste! EarthLust recently sent me one of their 20 oz stainless steel bottles to test. What you will first notice about their bottles is that they come in so many cool designs. You don't have to settle for just a plain stainless finish anymore, unless you want to of course. I picked the Poppy design (pictured far left) because I liked the blues and greens. But there are lots of other great ones. I also like the Butterfly design. The EarthLust bottles also come in 3 sizes: 13 oz, 20 oz and 1 Liter. They are made from high quality #304 food grade stainless steel, which is naturally safe unlined and all paints used are non-toxic. I love that these bottles come with a carabineer clip which is really handy, especially when pushing a packed stroller. Two weekends ago we took the boys to the zoo (what a rough day). 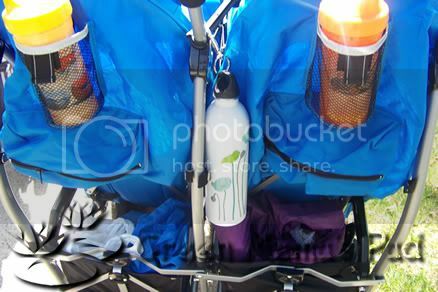 The twins are in a side by side double stroller which I love, but it is short on cup holders. There are only 2, which I was using for their cups, so I used the clip to hang my EarthLust bottle from the back of the stroller. There it is hanging out and looking cute! That was a long and hot day and I was so glad I had that water with me. One last thing i want to mention is the bottle opening. I have other bottles with extra wide openings that make it easier to get ice in. The problem I have with those is that the opening is wider than my mouth and I often spill some water. (Or maybe I'm just clumsy?) The opening on the EarthLust was better fit for my mouth and so I didn't have any spillage issues. Remember that when we talk about waste-free lunches, we are not just talking about our kids. Many of us also pack our own lunches for work or outings. Skip the bottled water and get yourself a nice stainless steel bottle like EarthLust. It will more than pay for itself as far as saving you money since you wont have to buy water and by helping save the planet from plastic waste. The peacock one is the best! I love all of the designs, but if I could choose, I would probably pick the poppy design! I love the poppy design. I like the poppy design - among others! I like the Ginko Bottle. I would choose the 20 ounce Poppy design! i like the 1L PEACOCK bottle with the beautiful feather on it. 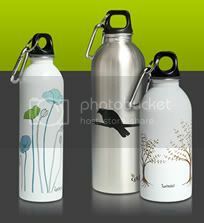 Really simple and trendy designs, much better then some of the Sigg ones I've seen. My favorite, is the silver crow. I like the one with the dragonfly. I would love one on these. I like the Green Parsley design. Thanks! 1 ltr peacock is my favorite. E-mail subscriber, just waiting on e-mail to confirm. I did what you have asked and visited the Earthlust site. the one that really looked good to me was the 1-liter with the Hawk, so win lose or draw I will most likely own one in the near future.The only problem with saying that is does it minimize my chances of winning one. I hope not. LOVE the dark purple 20 oz Flower! Ginko 20ounce is my favorite. I like he small butterfly or he gingko leaf. I like the 20 oz. Silver Parsley. Thanks for the chance. I like the 13 oz. Leaves best. Thanks! I LOVE the 1 L Tree. I like the 20 oz peacock bottle! My favorite is the 20 ounce flower in purple. Thanks for the contest! I just LOVE the red crow bottle! That would inspire me to drink A LOT more water every day!! Thanks for a great giveaway! My favorite right at this moment is the 20 oz Silver Parsley bottle. I am actually growing parsley in my backyard, so this bottle would remind me that contrary to popular belief I don't have a black thumb. I like the Peacock design best. I love the Red Crow! 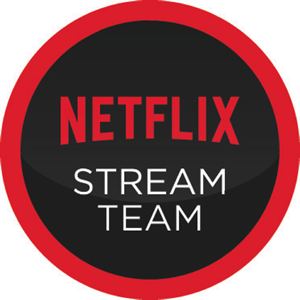 Faved you on Technorati: MommaStaciA. I love the 1.0L Peacock! I like the 20oz Green Parsley water bottle. I love the 20 oz Poppy bottle! I bought it for my MIL for Xmas and I'd love to have one for myself! I'd choose the 20 oz. Poppy. LOVE the Ginko 20 oz! I like the 20 oz. Palm design. 1L Hawk is my favorite! Hard to choose, but I want the 1 liter ginkgo. All the designs are nice, but the gingko is the one I prefer. I love the bottles with the fish on them. Definitely the 13-oz leaves bottle. It's gorgeous! i prefer the poppy design. I'd get the poppy design! Love the gingko and the poppies! I love the silver parsley bottle! I'd like the 13 oz Fish -- thank you!! I like the 20 oz Flower design. They're all really creative, but my favorites would have to be the green parsley or the dragonfly. (Love the crows, tree, silver parsley and the ginko, too!) It's hard to pick just one! I like the 1 L Tree Bottle. I love the 1L tree bottle! Ooh, hard choice! I'd go for the 20 oz poppy or the silver parsley. Or the dragonfly, or the red crow, or or or -- I don't see how I could be disappointed with any of them! I like the 1L Tree. I'd choose the 20 oz poppy! I love both the ginkgo and the dragonfly. My first choice would probably be the 1L ginkgo though. Thanks. I like the red crow bottle. The 1 L tree! So beautiful! I love them all but if I must pick one, it would be their 20 oz. Poppy, love it! Thank you! And I'm a fan on facebook. I'm a huge fan of the 1 Liter Ginkgo bottle right now--it's so bright and elegant. i want the 20oz dragonfly! I like the 20 ounce poppy bottle. I would pick the 1 L Silver Crow. I like the 1 L Fish. I love the Flower design! I would choose the 1L Ginko! So pretty!! I like the 1 L Silver Crow! I like the Poppy bottle. LOVE the 1 liter peacock! would use it every day!! No kidding the 1 liter peacock is the coolest but almost all are very, very cool. My fave is the pretty 20 oz Poppy! I would choose the 13oz Owl bottle. Thanks! I just became a fan on Facebook. Thanks! The 13 oz owl bottle would be my pick, he's so cute! I like the tree design.